The slippery online ecosystem is the perfect breeding ground for identities: true, false, and in between. The Internet shorthand IRL-'in real life'-now seems naïve. We no longer question the reality of online experiences but the reality of selfhood in the digital age. 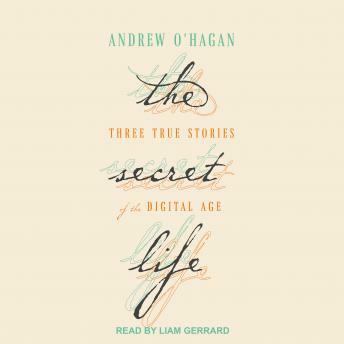 In The Secret Life, the essayist and novelist Andrew O'Hagan issues three bulletins from the porous border between cyberspace and IRL. "Ghosting" introduces us to the beguiling and divisive Wikileaks founder Julian Assange, whose autobiography the author agrees to ghostwrite with unforeseen-and unforgettable-consequences. "The Invention of Ronnie Pinn" finds the author using the actual identity of a deceased young man to construct an entirely new one in cyberspace, leading him on a journey deep into the Web's darkest realms. And "The Satoshi Affair" chronicles the strange case of Craig Wright, the Australian Web developer who may or may not be the mysterious inventor of Bitcoin, Satoshi Nakamoto-and who may or may not be willing, or even able, to reveal the truth.